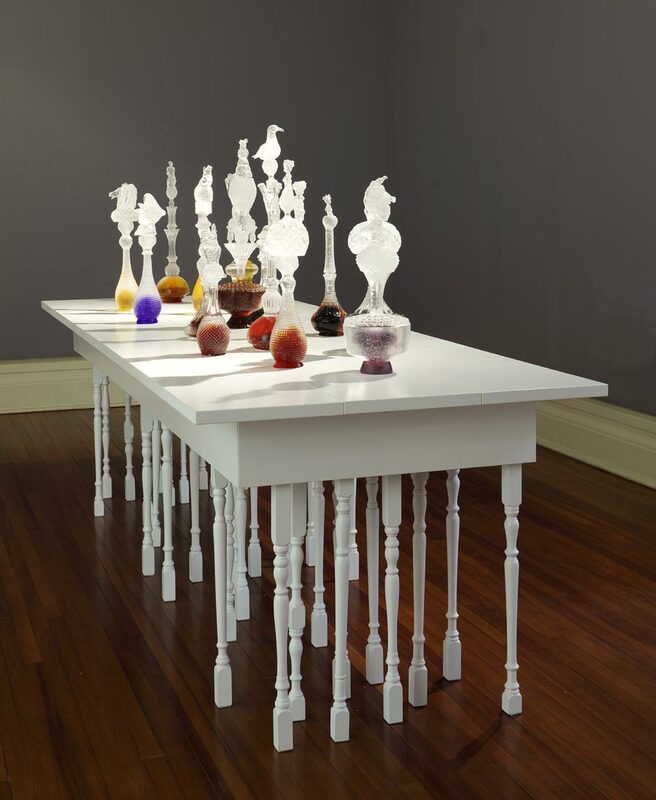 This spectacular table was an instant talking point at the 2011 Sargeant Gallery exhibition by Martinborough glass artists Jim Dennison and Leanne Williams. 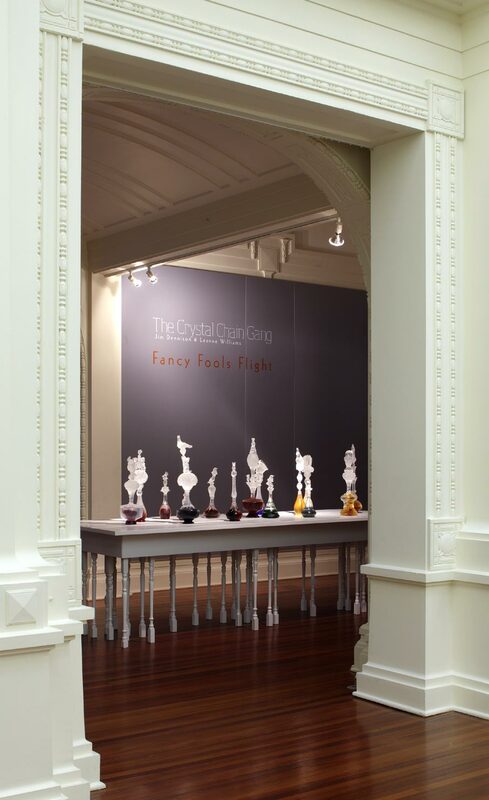 The brief required that it showcase the couple’s unique cast glass and crystal decanters but could also be dismantled into eight separate pieces for touring nationally. Incorporating 36 individual turned legs, it is now in the Sargeant Gallery’s permanent collection.